Historically, IT departments have responded to growing business demands by deploying servers, storage and networking dedicated to specific applications or functions. In many cases, this resulted in a complex infrastructure that is difficult to manage and costly to maintain. Meanwhile, the explosive growth of data continues while the operating costs in the data center keep on increasing: 80% of the IT budget is spent just to keep the data center running, and the volume of global data is expected to grow nine fold in the next 5 years, with 90% of it being the most challenging, unstructured data. 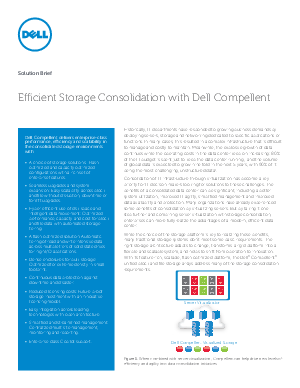 Read this white paper to learn more about how the Dell™ Compellent™ unified block and file storage arrays address many of the storage consolidation requirements with a feature rich, scalable, flash optimized platform.